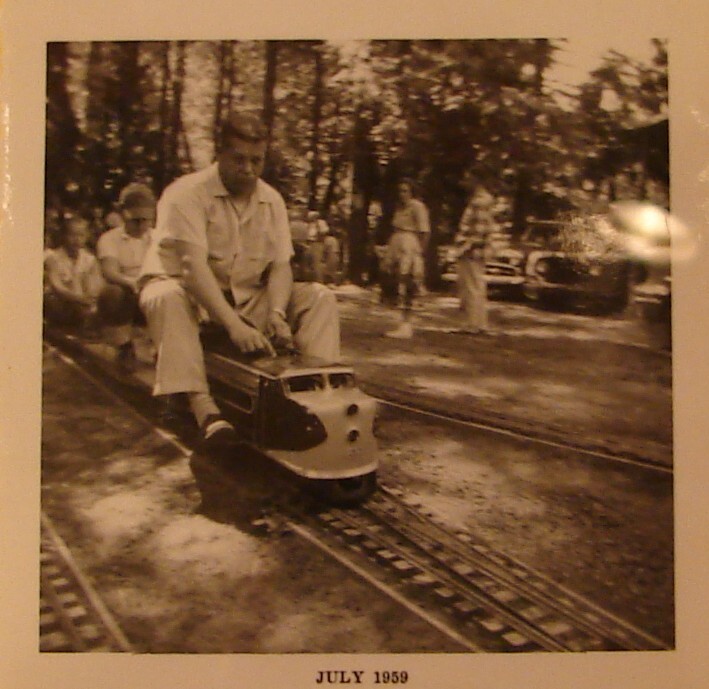 shown in this 1959 photo while a member and operator of the Shady Dell live scale railroad that Mr. Samuels also belongs too. 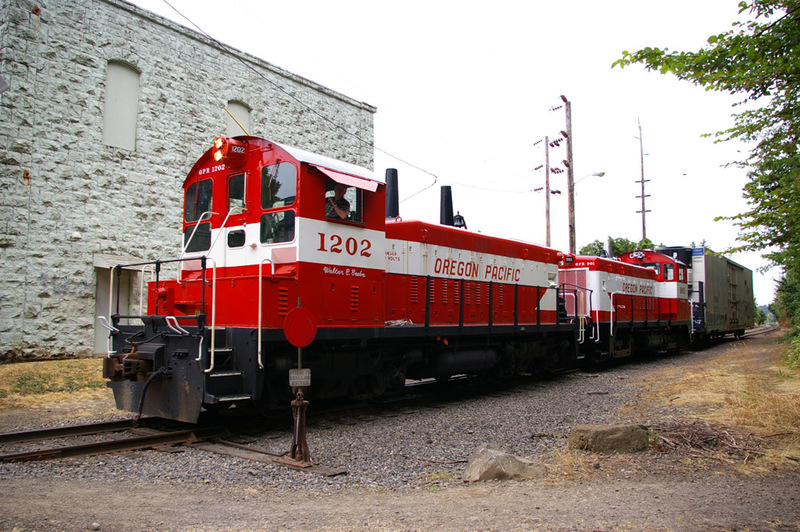 most powerful diesel in the OPR fleet, making 1200 h.p. 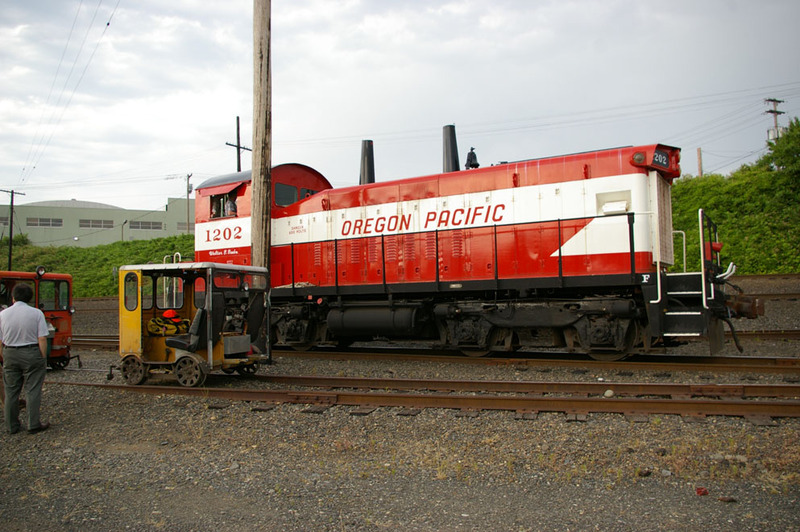 along with the OPR 1201/1413 which also makes 1200 h.p. 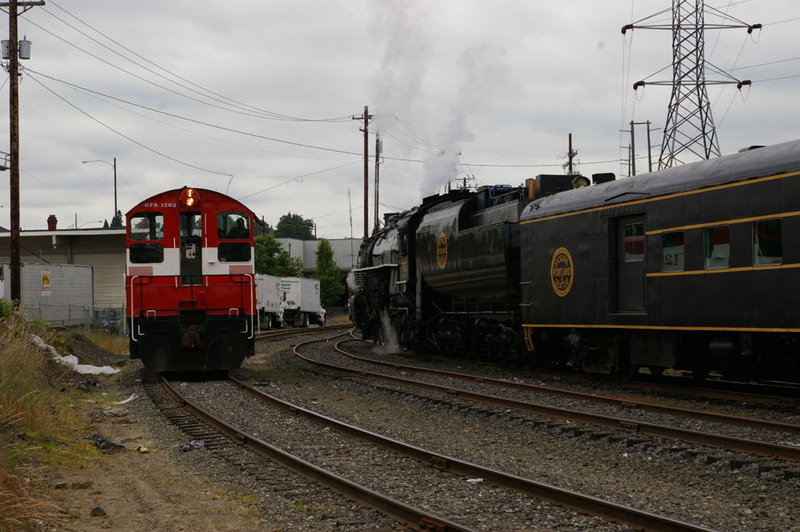 1953 and was originally numbered 7403. 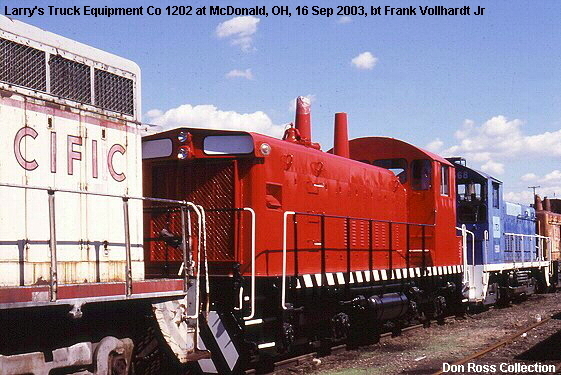 The original prime mover was an EMD 12-567-B V-12, making 1200 h.p. 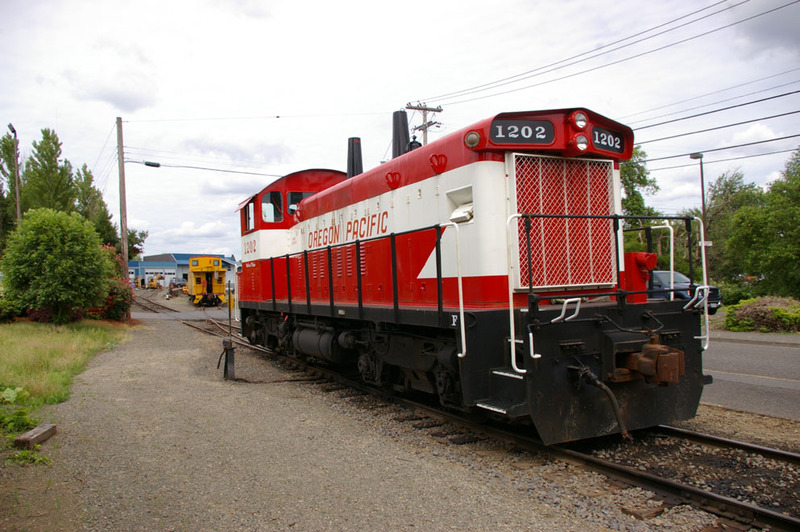 The 1202 has a unique headlight/reader board hood that appears to be unique to Canadian built SW1200RSu locomotives. 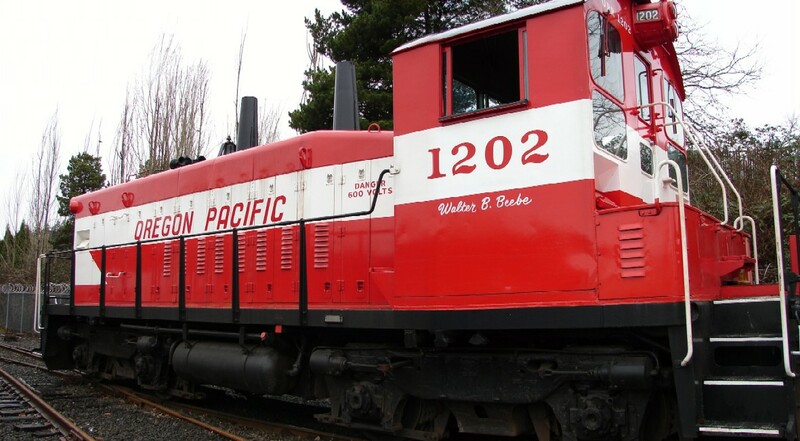 A series of photos of the 1202 when operating for the CP can be seen here. Financial Corporation (HMLX), who later sold it to Larry's Truck & Electric (LTEX), a locomotive broker, from whom Mr.
Samuels purchased it in approximately 2005. 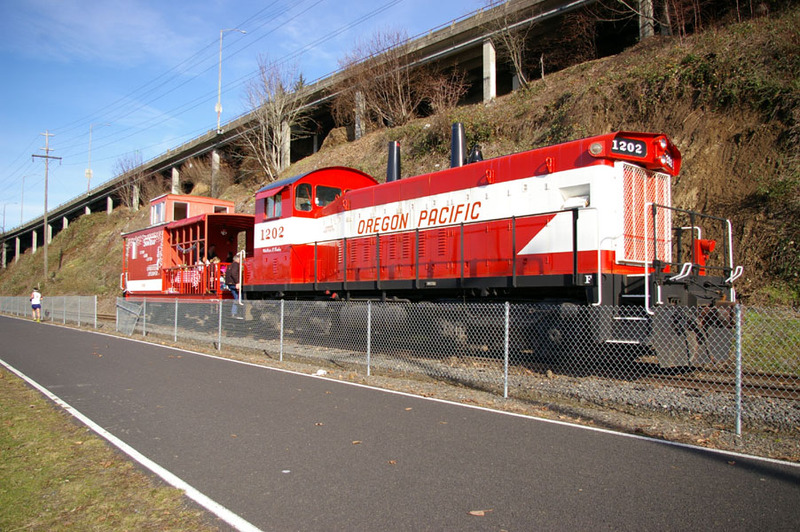 Portland Division. 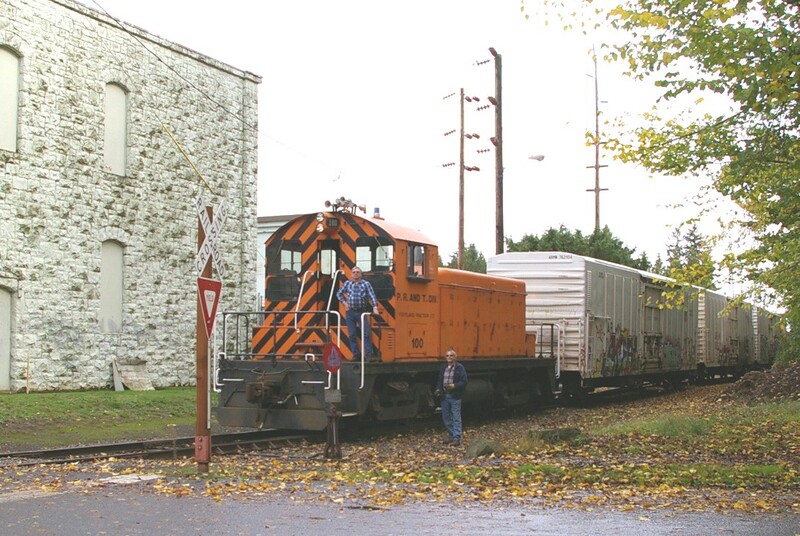 When the No. 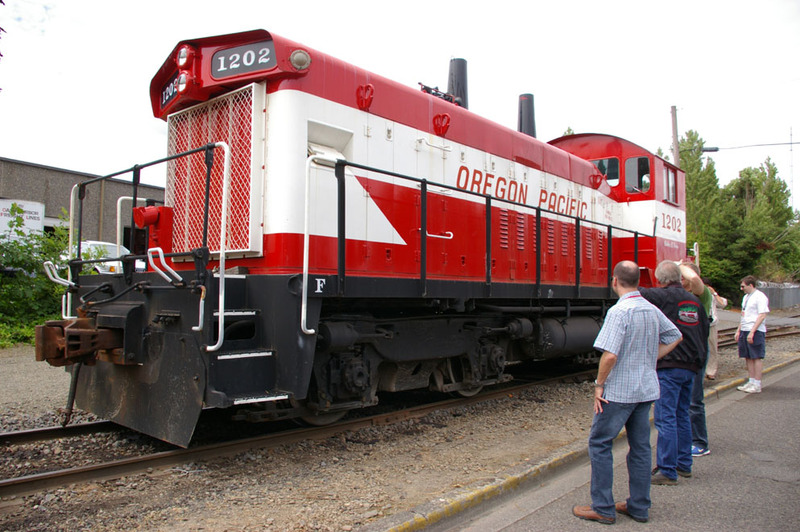 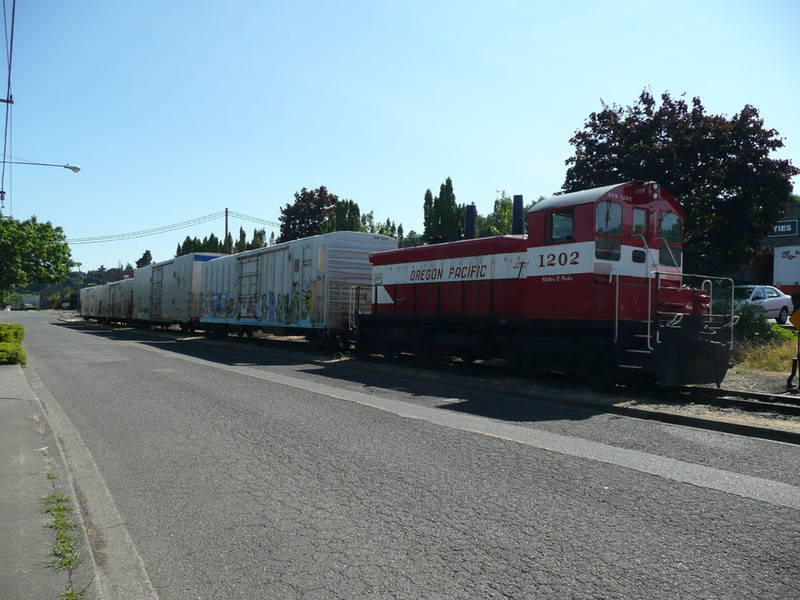 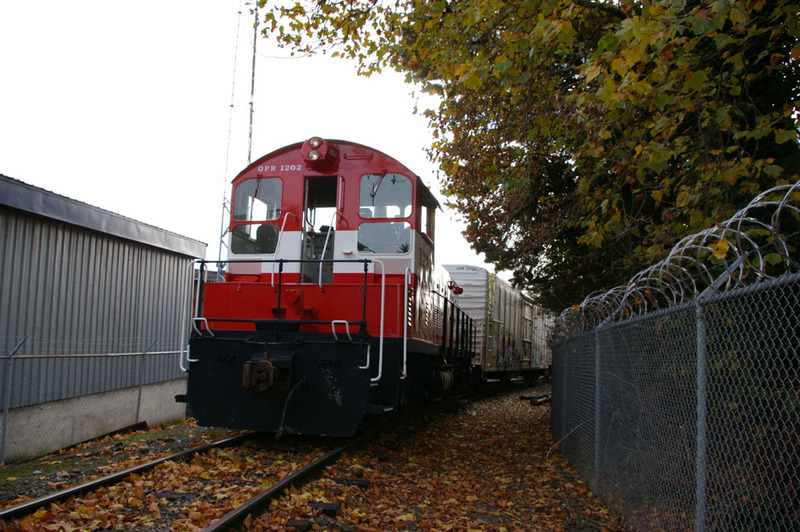 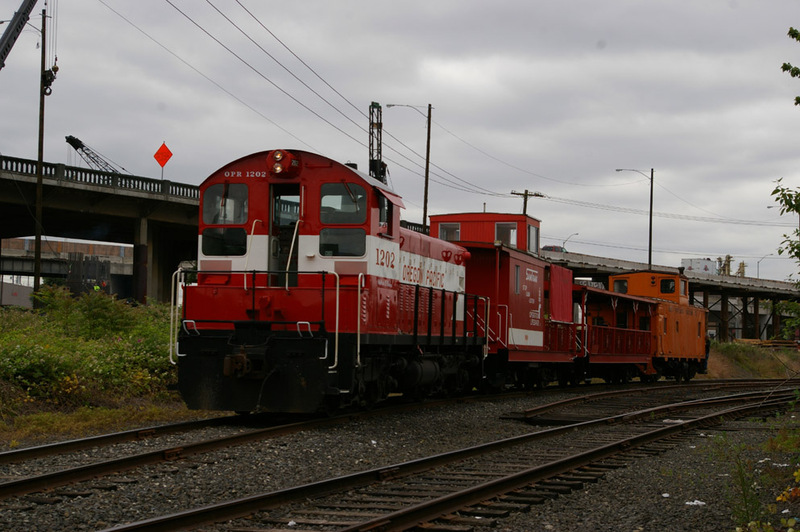 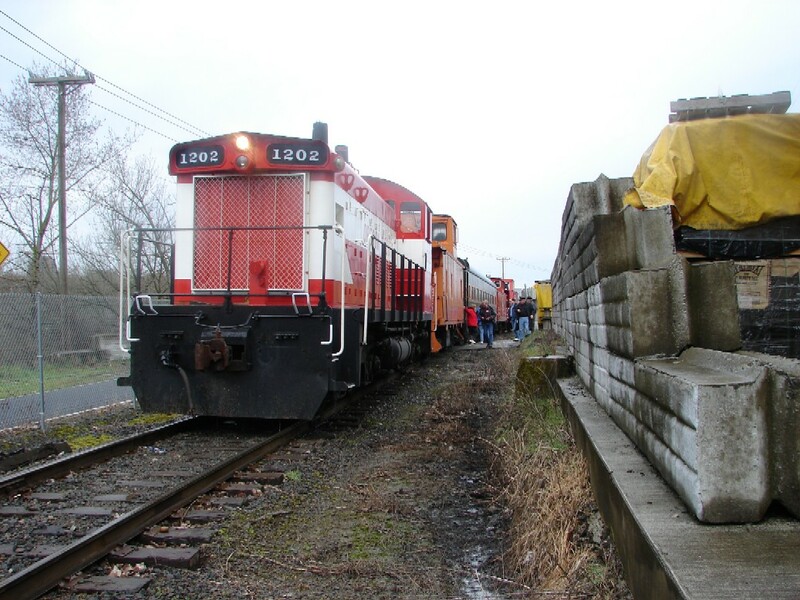 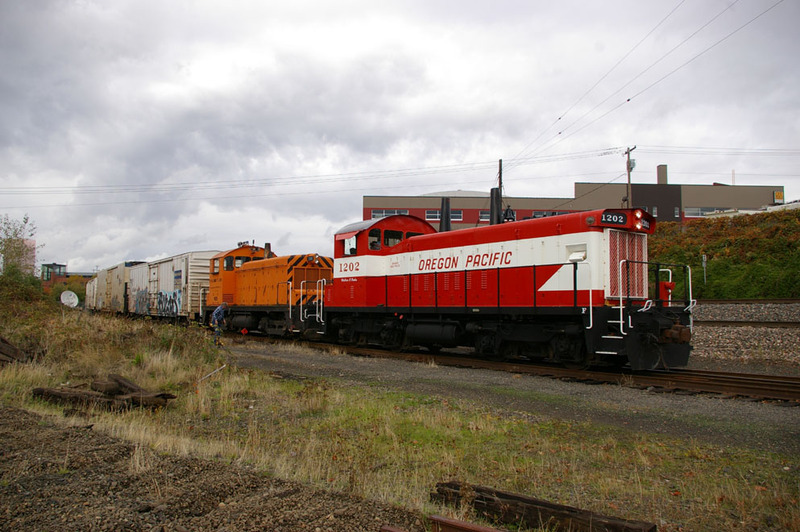 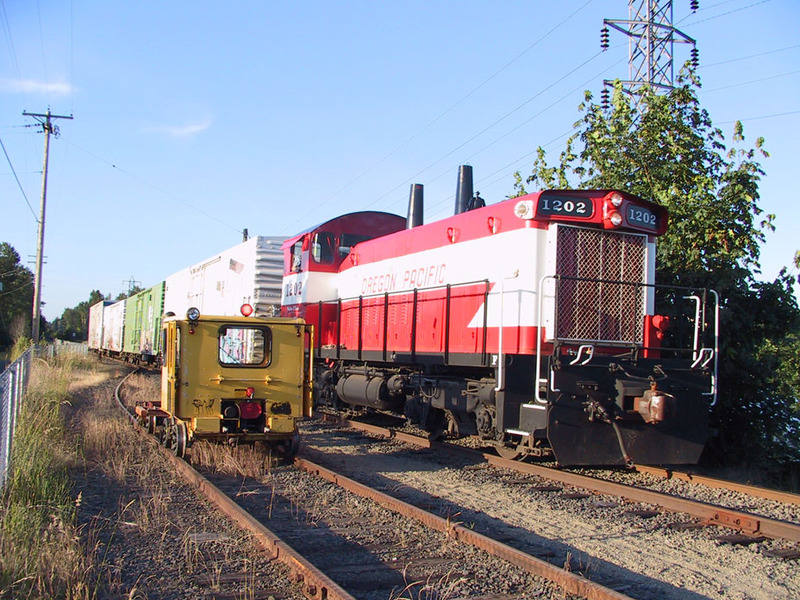 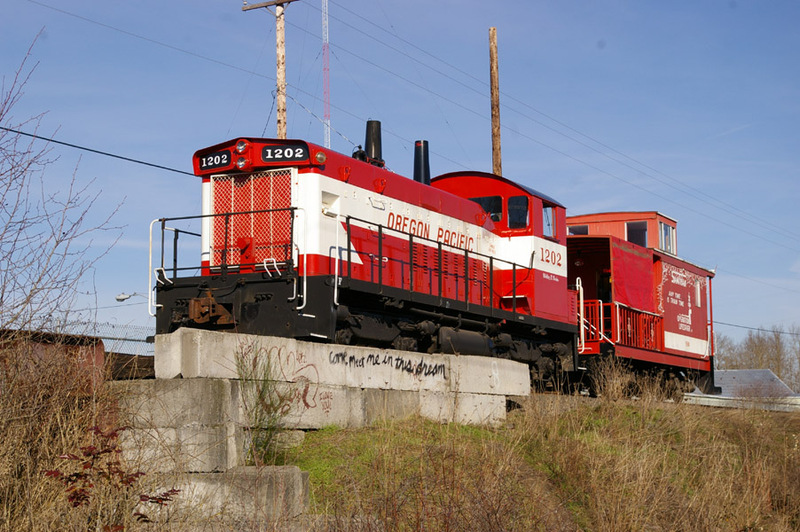 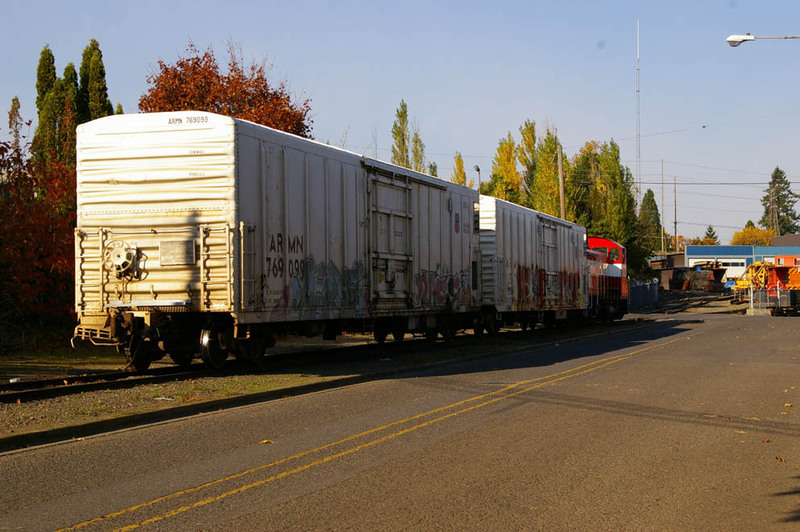 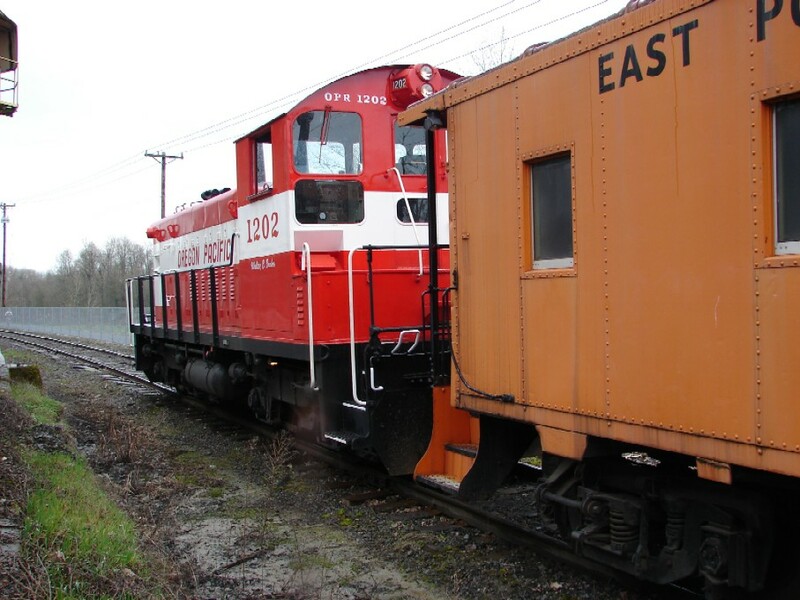 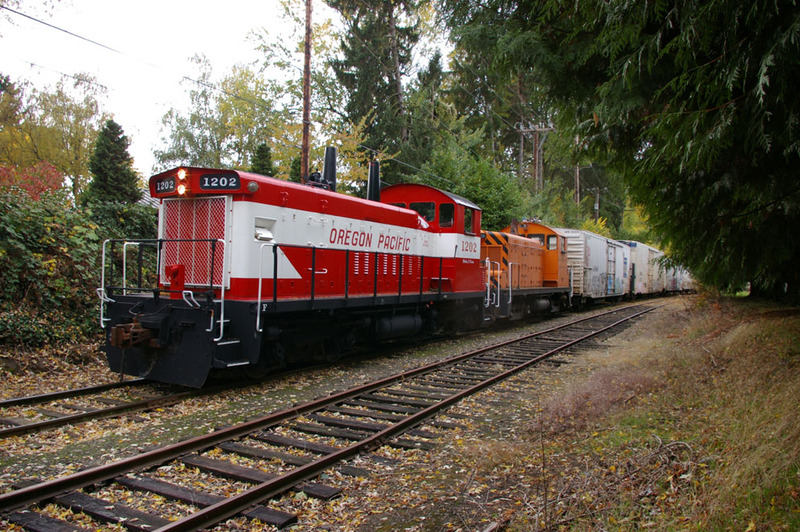 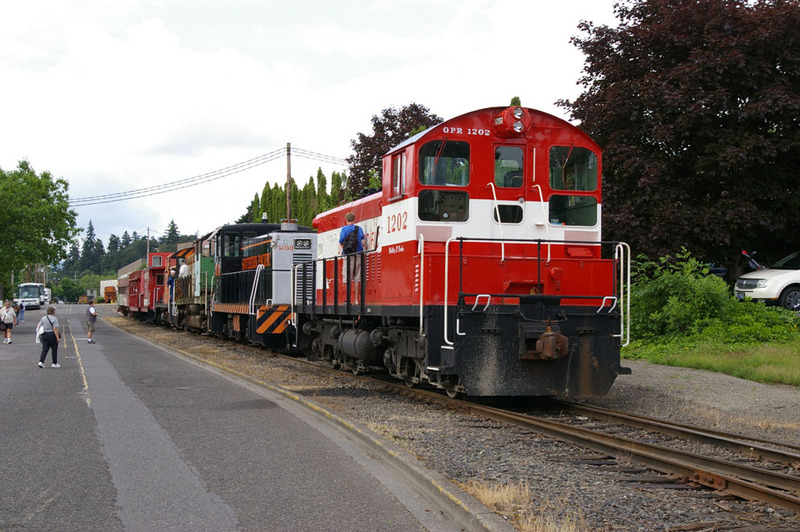 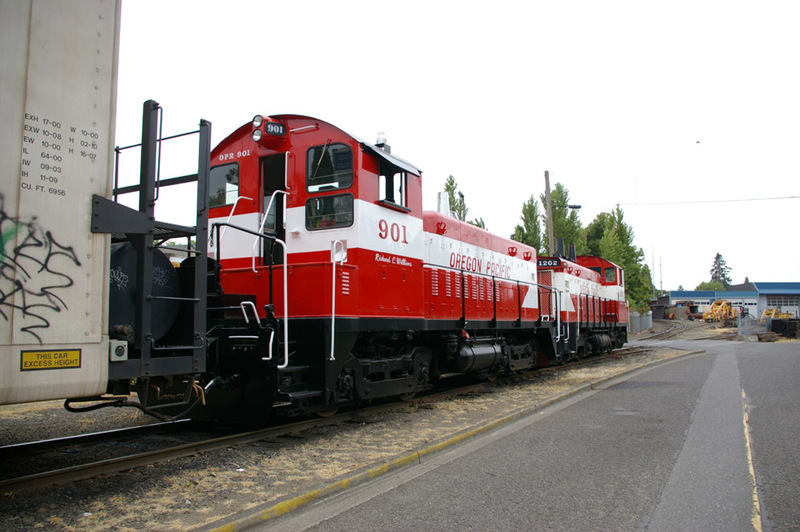 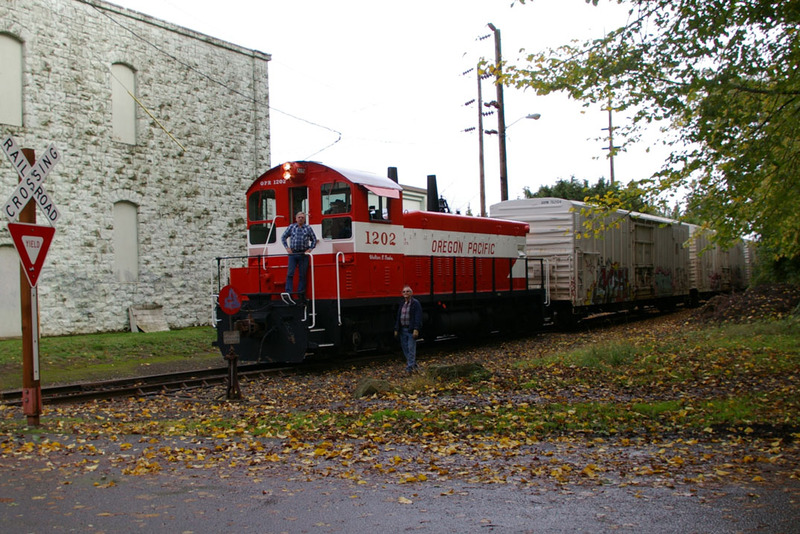 801 is repaired, the 801 and 1202 will share primary switching duties on the Molalla Division. 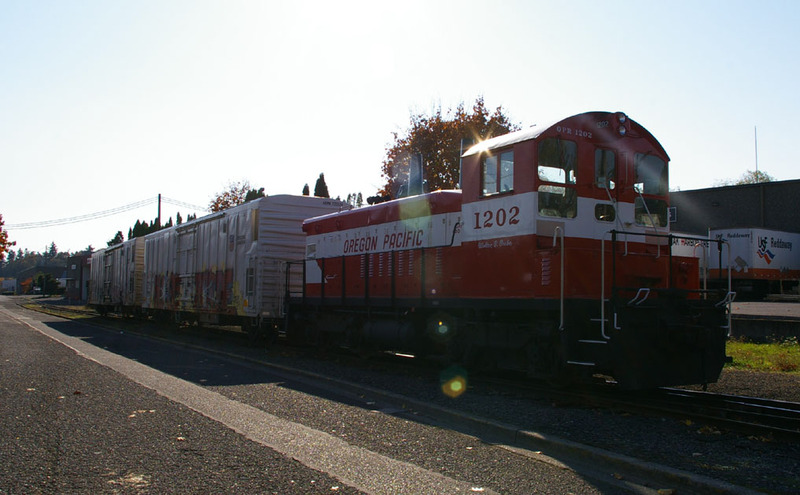 Here is a photo of the 1202 at LTEX after it received fresh paint prior to being delivered to the OPR. 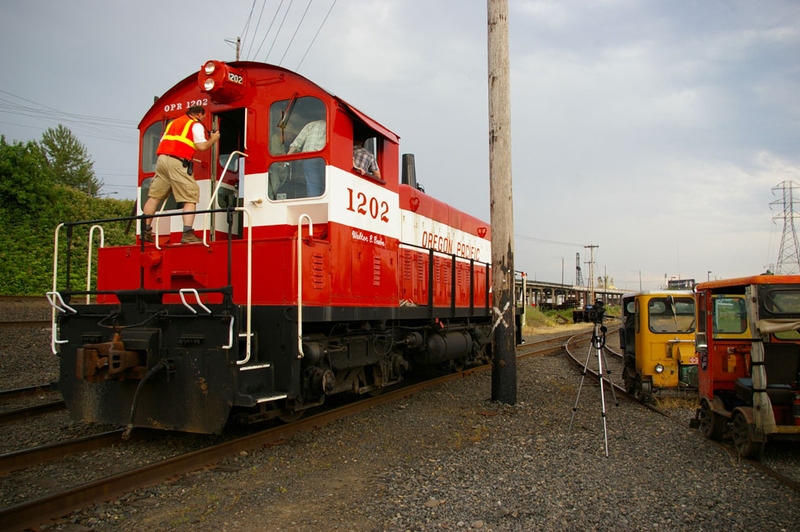 Various photos of the 1202 in action in 2006 and 2007. 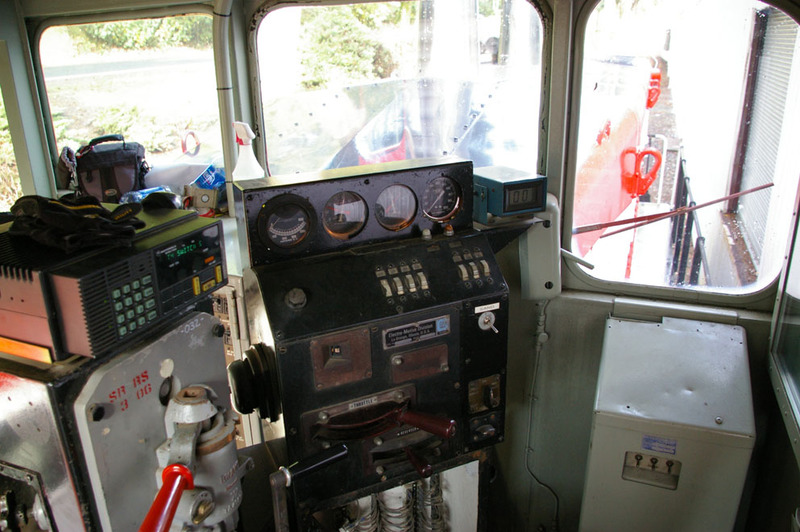 Photos of the cab of the 1202, including Mr. Samuels at the controls in 2007. 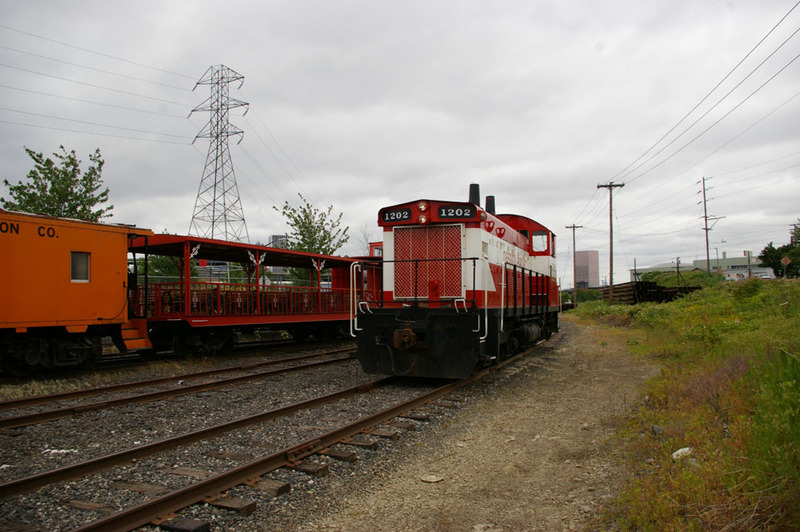 The 1202 switching out consist at the beginning of the June, 2008 Steaming through History event with the SP&S 700. 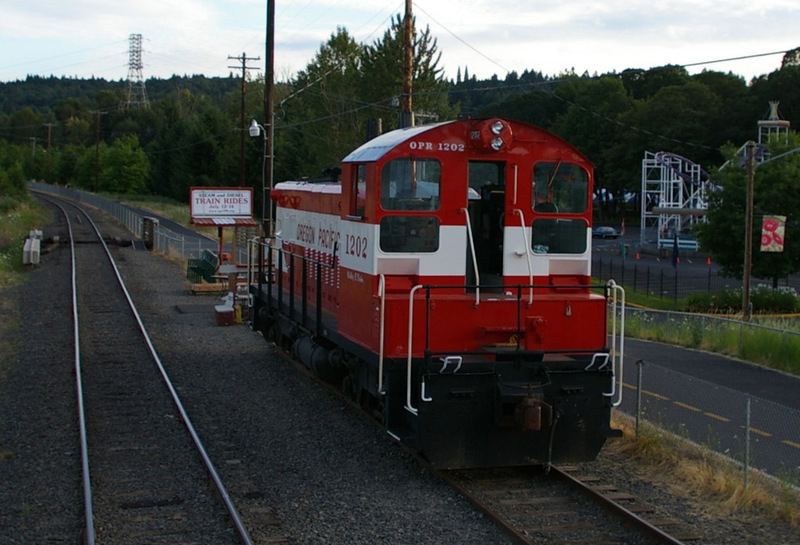 The 1202 switching out consist at the end of the June, 2008 Steaming through History event with the SP&S 700. 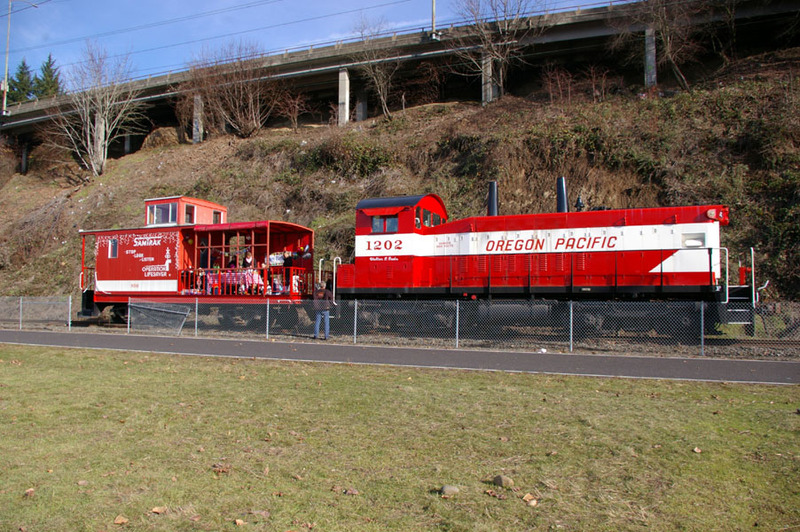 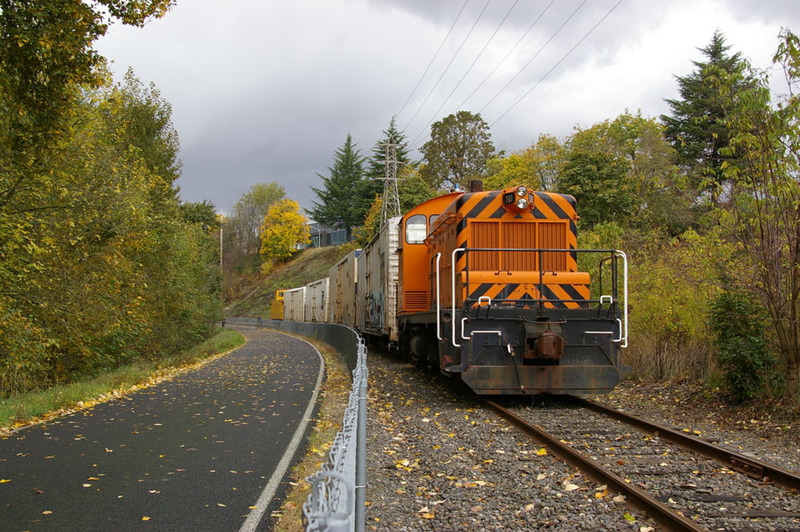 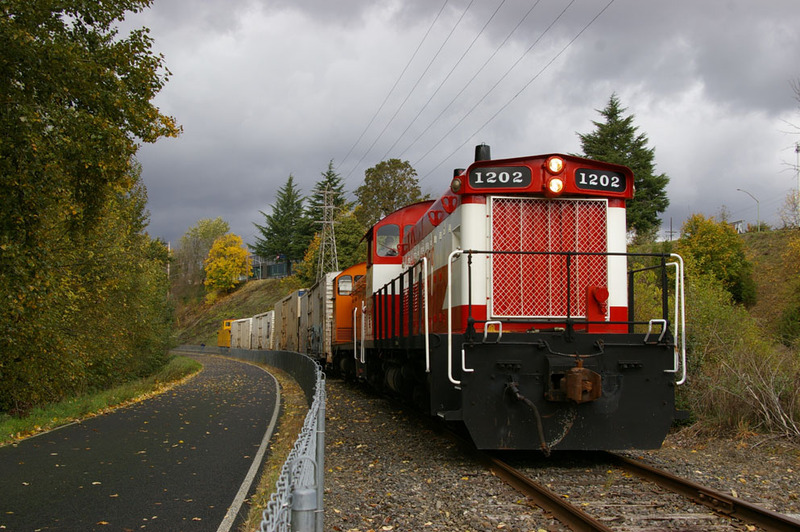 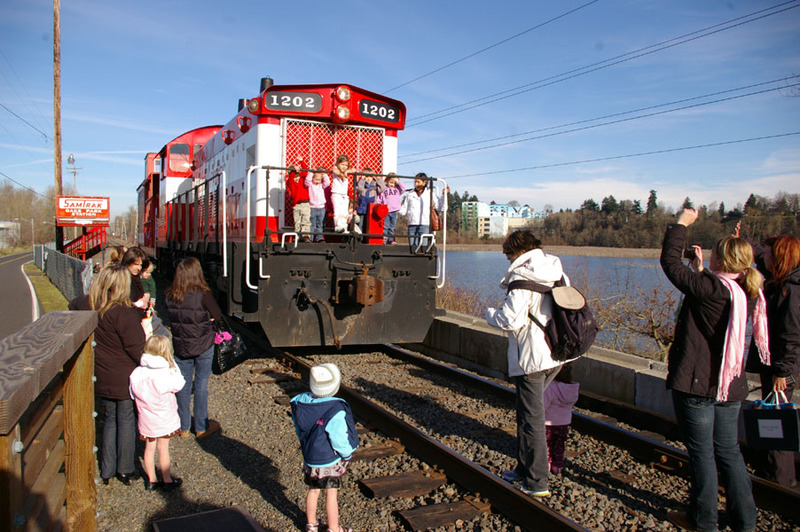 The 1202 making a revenue run southbound on the East Portland Branch, with Kevin Novak's speeder in the Oaks Park siding. 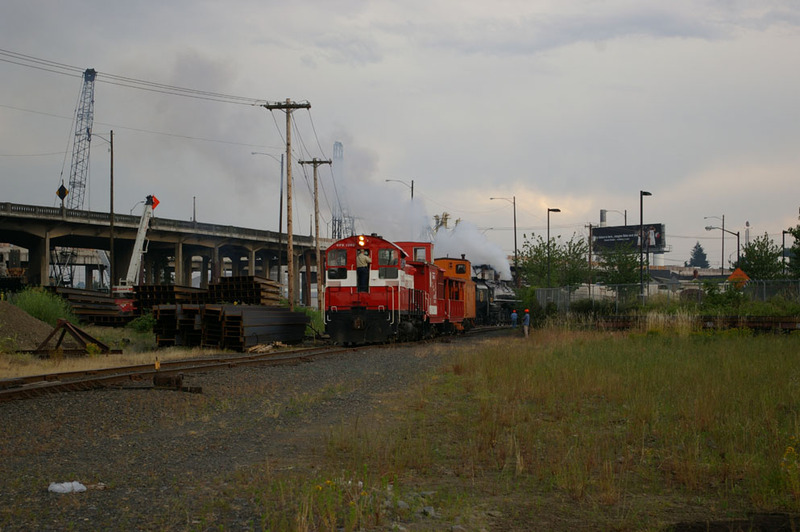 Photo courtesy of Kevin Novak. 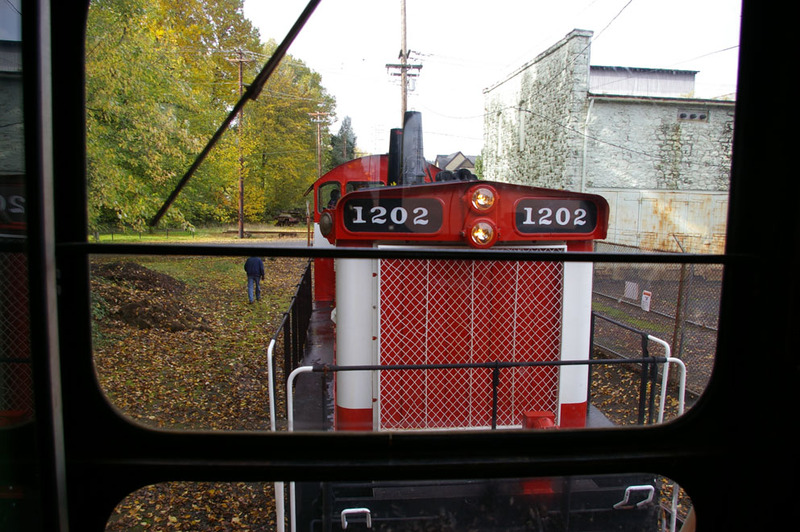 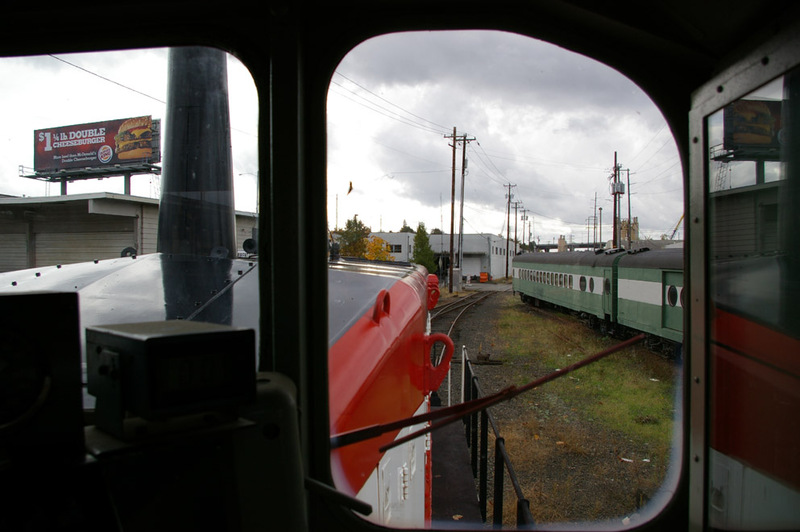 Photos of the cab of the 1202, including the engineer's view. 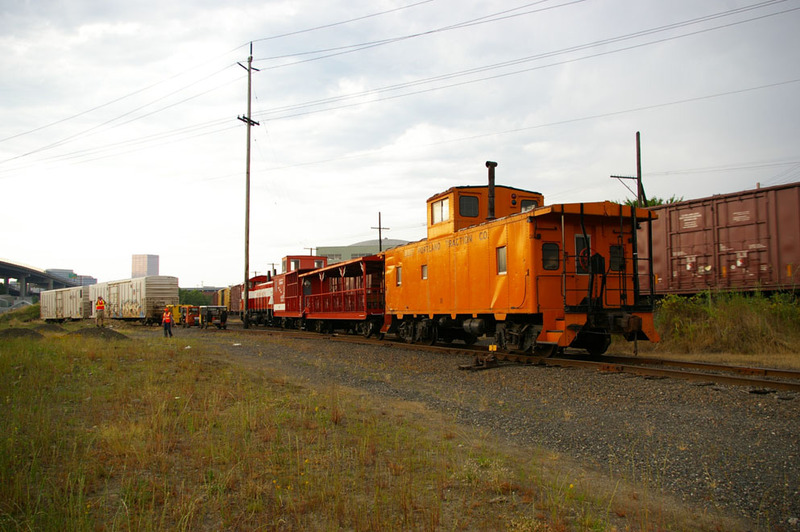 equipped locomotives. 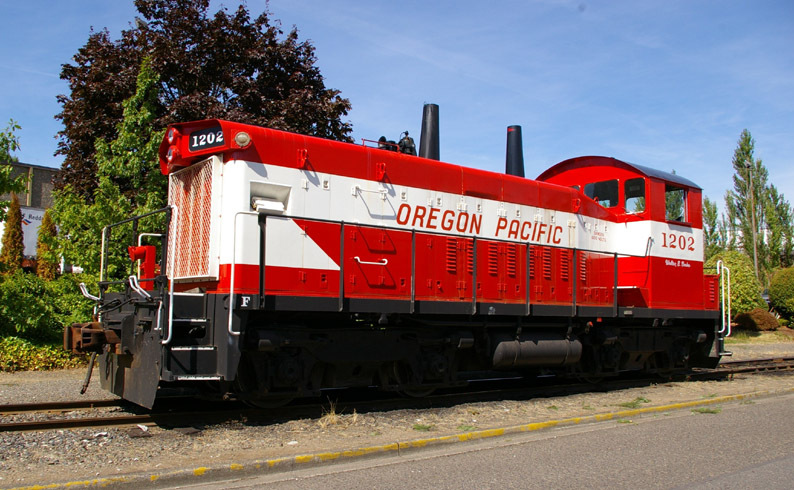 Thus, when a locomotive was upgraded to the newer style engine, it's designation was then changed. 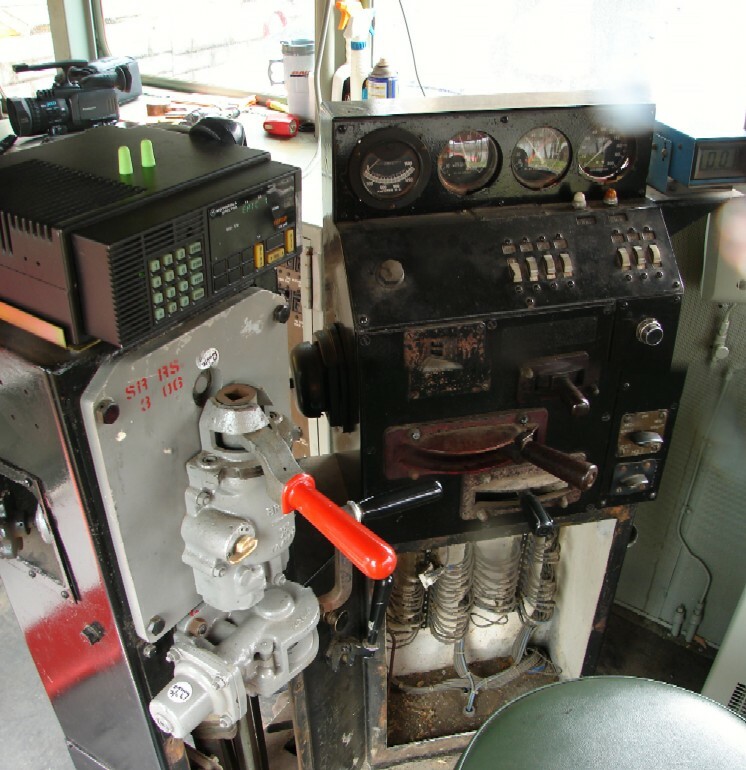 SW9s and can lead to confusion about their true identification. 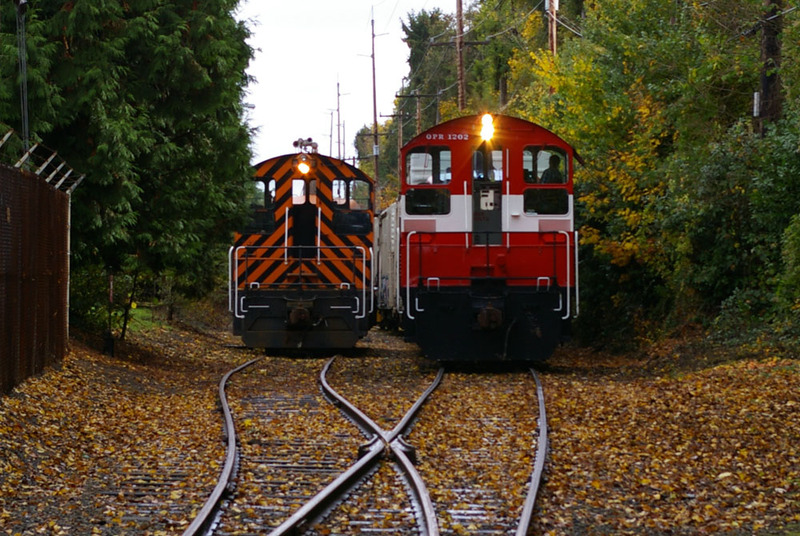 for Canada by GMD..of which the No. 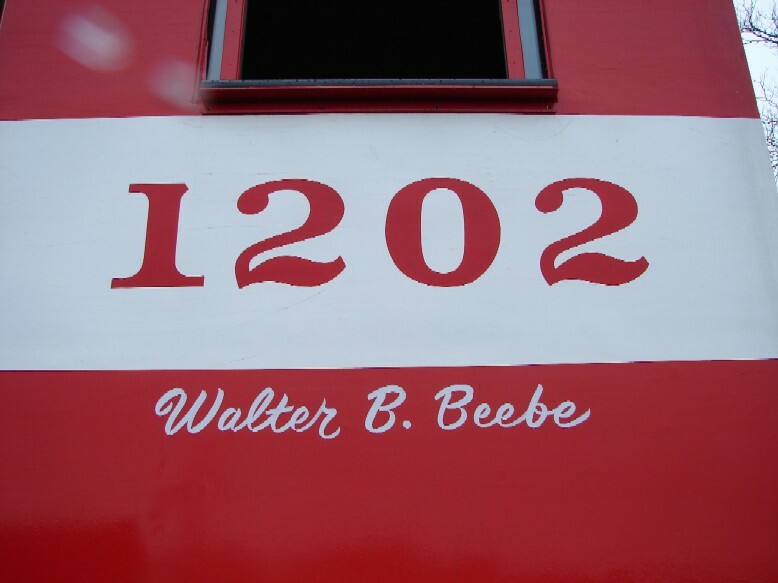 1202 is one of. 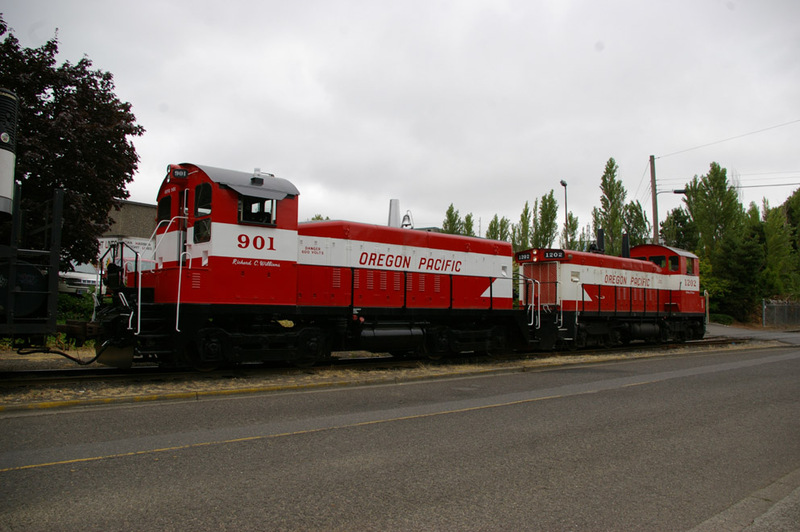 still provide plenty of h.p. 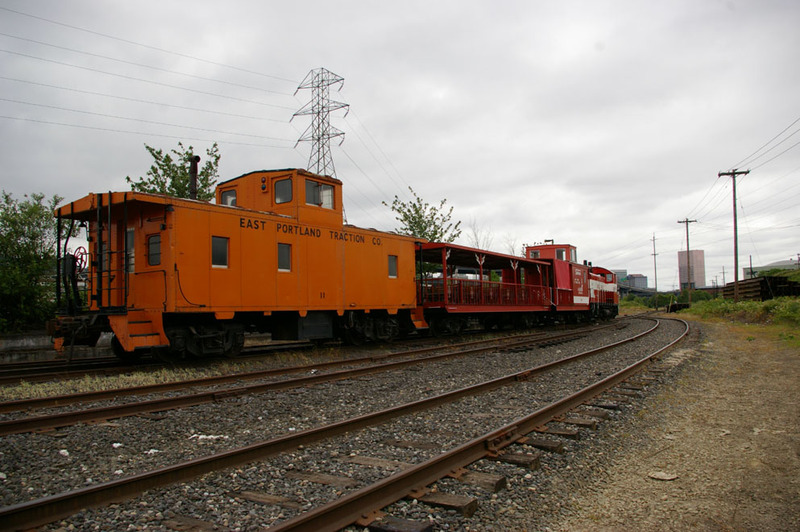 for switch movements. 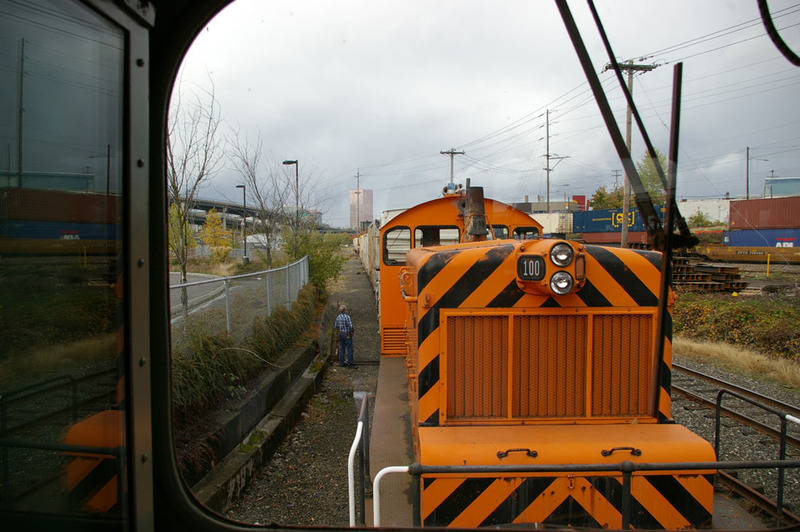 exhaust stack of the other locomotive's V-8 diesel engines.